Once upon a time, there existed a breed of singers who didn’t need AutoTune: they could bend, shape and twist their voices any way they wanted to. 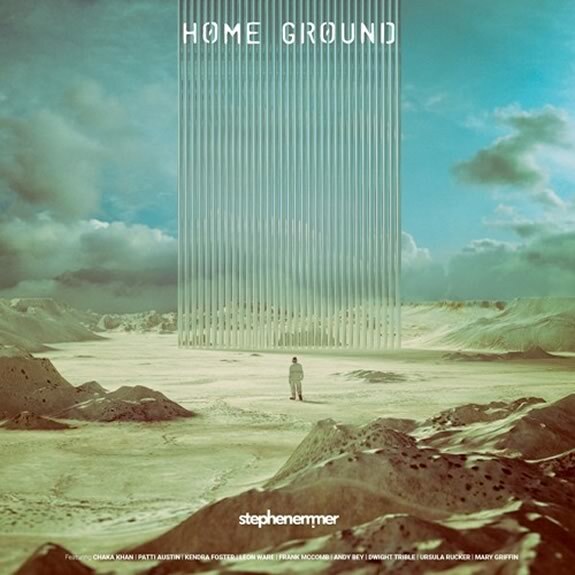 Dutch Composer Stephen Emmer, a passionate aficionado of this great genre has brought together a collective of supreme voices, creating an album of days gone by Bond-esque proportions. 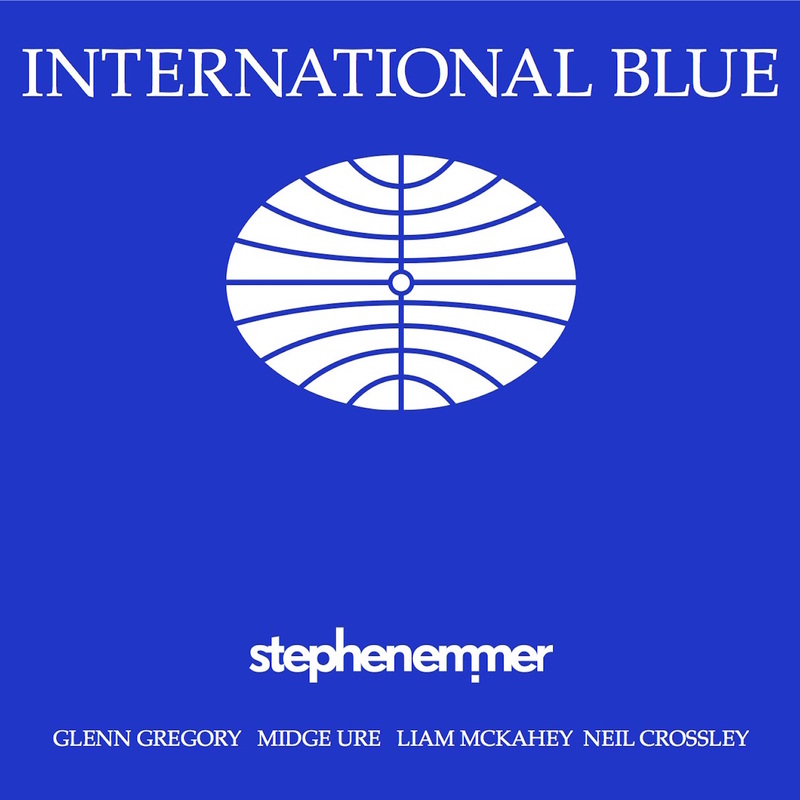 International Blue pays tribute to the lost art and elegance of pop-crooning, and thus to the people who Stephen considers the style's main architects, Scott Walker and David Bowie. Stephen has again had the pleasure and honor of working with Tony Visconti, David Bowie’s long time collaborator, who produced the album at Abbey Road Studios (London) and Avator Studios (NYC). 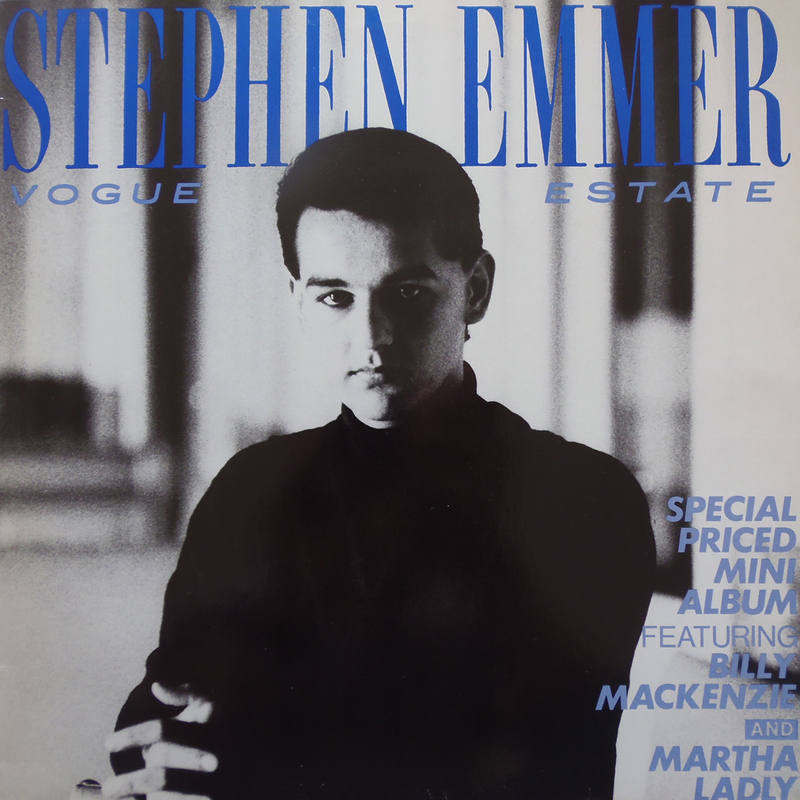 Featuring artists include Midge Ure (Ultravox), Neil Crossley (Furlined), Liam McKahey (Cousteau) and Glenn Gregory (Heaven 17), who was recently invited by both Tony Visconti and David Bowie to vocally perform the ‘The Man Who Sold The World’ live tour in the UK. The mighty Glenn Gregory plays a key roll in the IB project, since he collaborated on 4 out of 10 album songs. Preview, stream, download or buy International Blue on CD or Vinyl here. Recitement is an exciting mix of music and spoken word. The combination of pop music and spoken word is a phenomenon in the music history. 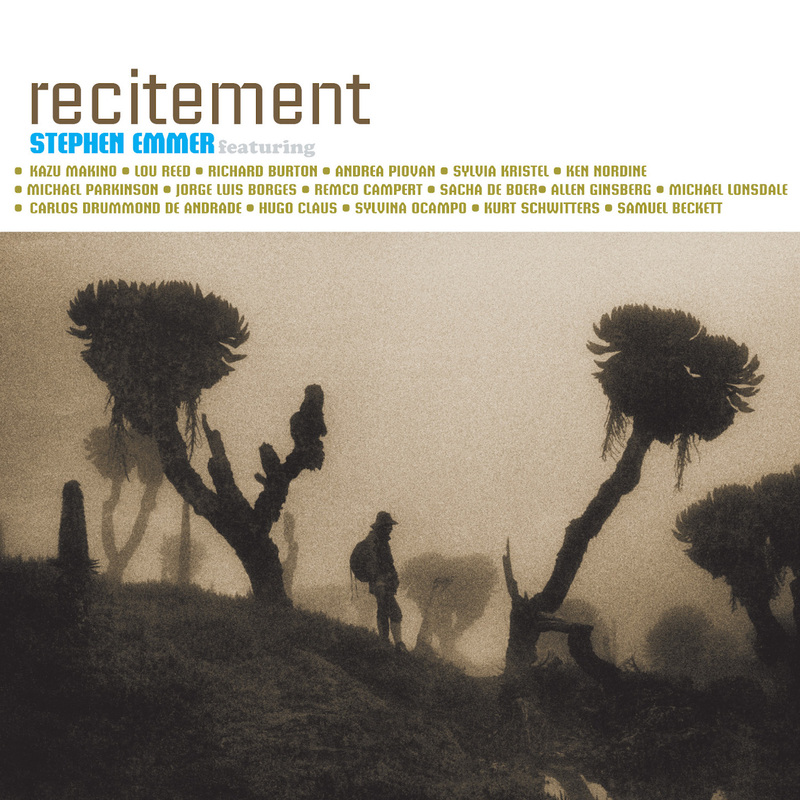 Recitement contains 17 different compositions in 7 different languages and styles, arranged and composed by composer, arranger and musician Stephen Emmer. Recitement can be characterized as both retro avant garde and accessible. On Recitement everything comes together: past and present, death and life, writers and singers, poems and music. Is it Spoken Word Pop? Is it a contemporary audiobook? Or is it music album? Recitement is all of the preceding. The album is mixed and mastered in NYC by Tony Visconti and features several musical performers such as Blonde Redhead singer Kazu Makino, jazzmusician Benjamin Herman, legendary pianist Mike Garson (Bowie, Smashing Pumpkins), classical singer Maja Roodveldt, old school rapper Shyrock, Joost Kroon of New Cool Collective and popduo Bauer. Vocal performers are Lou Reed, Allen Ginsberg, Sylvia Kristel (Emanuelle), Kurt Schwitters, Jorge Luis Borges, Carlos Drummond de Andrade, Michael Lonsdale, Sacha de Boer, Ken Nordine and Richard Burton. Literary sourcetexts are from Charles Baudelaire, Yoko Ono, Samuel Beckett, Alessandro Baricco, Christopher Fry, Gerard Manley Hopkins, Paul Theroux, Victoria Ocampo, Remco Campert, Hugo Claus and Thomas Hardy. Preview, stream, download or buy Recitement on CD here. "If it was a film.... the opening would be in the mountains, the credits rolling over firm trees as pretty piano melodies float by. 'Wish on' is an altogether darker affair with rasping, hunted cello laid under discordant chords whilst Billy thunders away like an outtake from 'Sulk'. Conversation with him seems futile so we hide behind a tree until he vanishes in a burst of falsetto. But there is light amongst the trees in the shape of ‘Eleven And Then Left', following the pretty melody to the edge of the forest, where we discover a lonely, abandoned Martha singing her heart out. And there the film gets cut…"
Two tracks are with vocals from the late Billy McKenzie and Martha Ladly, and the album was co-produced by Flood (Nick Cave, Depeche Mode, U2, Smashing Pumpkins, a.o.) and Michael Dempsey (The Cure) in the legendary Trident Studios in London.